Scrappy Bits 'n Pieces by Becky: Viva La France + Freebie!! Viva La France + Freebie!! Do you dream of going to France? Do you long to see the magic of Paris? Or are you one of the lucky people who have experienced the wonder of this place?? If you've answered yes to either of these questions (or even if you didn't) then this is the kit for you! Viva La France by Honey Designs is gorgeous! Now, I mentioned above that you'll love it even if you didn't answer yes to either question because I am in that category, but I loved working with this kit! In fact, I might even go as far to say that it got me thinking about the idea of France - which has never happened to me! But, I kinda want to go. Crazy. And the best bit? It's currently 25% off!! While you're snapping up that bargain, you can grab this Sweet Stuff To Scrap Add On for FREE! 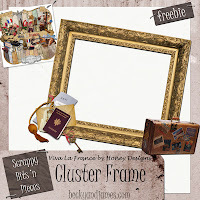 And now for the freebie, I made this Cluster Frame with Viva La France - I was inspired! If you love Cluster Frames, don't forget to enter my Giveaway!!! Merci beaucoup pour cette très belle QP ! Thank you so much for this Freebie. 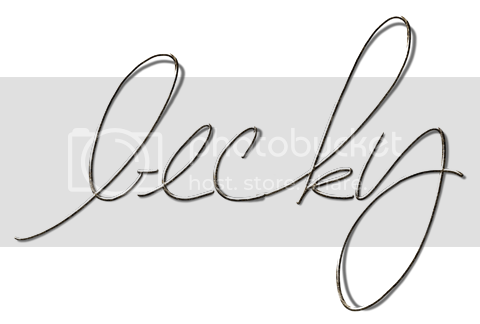 I want to let you know that I posted a link to your blog in CBH Digital Scrapbooking Freebies, under the Page 14 post on Oct. 02, 2009. Thanks again.